Are you enjoying Your awesome DBZ Snickers?. Tired and thirsty after raising your Ki to the infinitum?. Well. The Urakita Company have something special for you!. 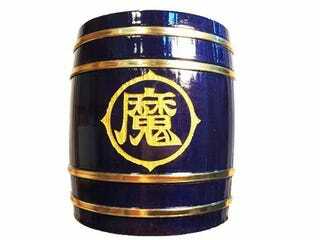 They have released a series of Wooden maded Mugs, with the symbology of Dragon Ball Z and shaped in a form of a Barrels!. The Mugs come in two sizes: 380 Ml (4,800 Yen/ 40.50 US Dollars/ 500 Pesos) and 1 Liter (7,800 Yen/ 65.79 US Dollars/ 750 Pesos). The Mugs are made by Japanese- Cedar and covered in a higly durable Food-Grade Coating. The Inside of these Mugs have some stars so... If you wanna collect the Seven. Then...Well you know!. The SHipping will start this February 13.